Sunset Valley seems to most as a quiet, peaceful town. A place where people can set aside their differences, and live together in harmony for the good of everyone. But not everything is as it seems. It was a normal Tuesday morning for Patrol Officer Miraj Alvi, getting up at six o’clock in the morning just like every other day. 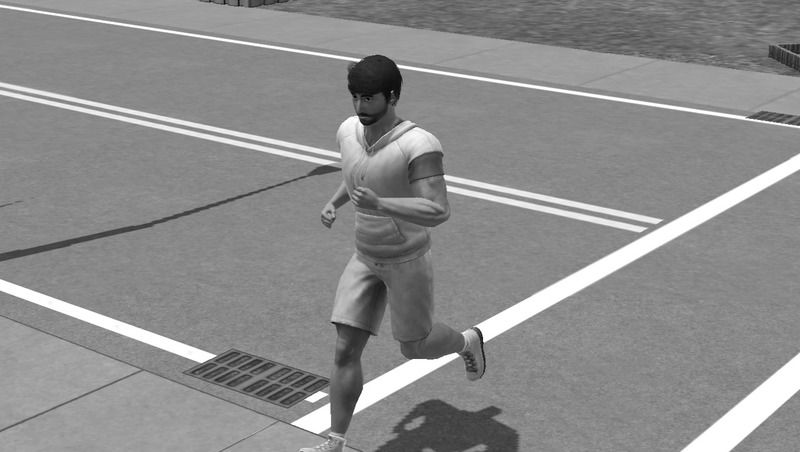 Jogging around town for and hour and thirty-six minutes, just like every other day. Then a hearty breakfast of exactly four low-calorie apple pancakes with sugar-free maple syrup, just like every other day. And just like every other day, around nine o’clock was when the shouting began. Ever since his neighbors, Archer Weaver and Brianna Kelly, with their son Marshal, moved into the house next door sixteen years ago, mornings have been troubling for Miraj. But after years of practice, he has eventually been able to drown out the arguments, and the screaming. So today, just like any other day, Miraj continued about his business, until he noticed that the fighting had abruptly stopped. Breathing a sigh of relief, Miraj went back to his pancakes. Miraj jumped when he heard the sound of a gunshot. Dropping his fork, he rushed to the window nearest his neighbor’s house. Nothing seemed out of the ordinary, until he saw Marshal dash out the front door, get on his bike and ride away. attempt to stop the suspect, as he may be armed and dangerous. Great drama, love it!! Nice twist on the usual legacy start 🙂 Can’t wait for chapter one! Oooooh… Synchronized posting! Good morning/afternoon/evening Sian! Thanks! And I am very happy that you like it, and hope it stays that way as Conrad’s story unfolds. Not gonna say who Marshal is though. haha! Just a random tidbit of information, but when I put down the phone number for the police, I wanted to “spell” something out, and aside from the area code, the phone number spells out “plumbob” when you look at a cell phone. Ooooh I LOVE your prologue! You’ve done a really good job setting the scene for who your Founder is and why he did the things he did (16 years of daily fights?! YIKES!) when he was younger and I can’t wait to see how it impacts his future and who he has turned into. I like that we’re seeing the scene unfold from someone else’s POV, makes the characters seem more ‘real’ ’cause they’re operating in a world of some sort. Happy that you like the prologue. I can’t imagine 16 years of arguments. Makes me sort of grateful that my family is so AWESOME!!! 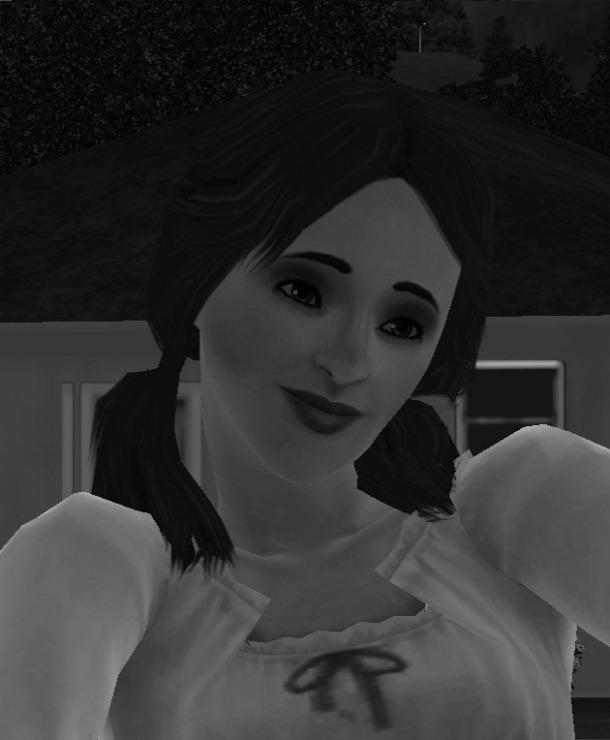 Originally I had wanted to do the prologue in Erin Kennedy’s POV, but there is a pretty big gap between her house and the “Weaver’s” house, and there was a fence too. Wow, what a fantastic job! I found you through the Rivers, and I’m riveted! My mind seems to jump on the least obvious, so I wonder if your founder is the son of the teenager who shot the parents, so he wants life away from the crime. Or maybe he was the other son of the couple? Who knows? Can’t wait to find out! Hmm… that’s an interesting thought. You’ll just have to wait and see. I’m very happy that you enjoyed the prologue. I’m gonna have to start reading your stories. I absolutely love this start to the legacy! Creating prologues seems to be a trend in newer legacies, which makes me regret that I hadn’t written a prologue for Azure’s story. Of course, it would probably be very difficult to get screenshots in the ocean for her, heh heh. Anyway, I like where you’re taking this legacy so far. Can’t wait to see where it goes. I’ll be adding you to my blogroll. That’s funny, considering that your Charm Legacy is the first place that I saw a prologue, even though it was in the first chapter. Maybe you could have gotten pictures of Azure in swimming poses, and then edited the picture to cut her out and paste her into computerized under water picture. I had seen that in the “Barimen Legacy” in generation 7, whenever the heir Amber is in a warehouse, Zoxell (the writer) said the background was either from city of heroes, or champions online. Either way, I highly recommend reading his blog. Good story. WOA!!! Didn’t see that coming at all!!! Ooo….a great start! This has already gotten so interesting that I can not wait to see how this turns into a legacy. 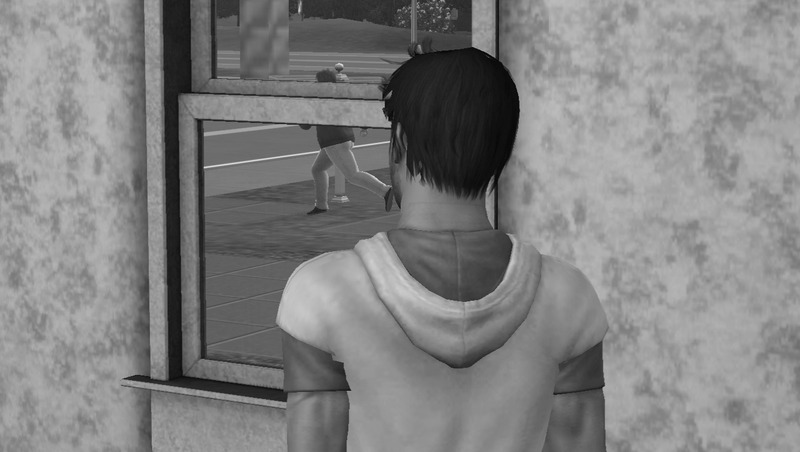 The black and white images makes the story much more chilling as it leads into the shooting. I also love the realism of it all. A regular guy, doing his morning routine and suddenly everything is thrown out of whack…its just as Zoxell mentioned about it resembling an Alfred Hitchcock. .
Fabulous, I am really looking forward to reading. Thank you for providing me with a link to this gem! Oh my gosh! I loved the start! At first I just came to check it out but it was amazing! I will so continue reading! I just loved the drama that is already stirred up in the story. Also can you check out my story? I started, and I got to the part where Kristal McArthur (did I spell that right?) was killed. I just have to catch up with the rest of it. Soon… very soon. So where is this legacy, eh? I’ve always got time to read a new story. There’s the link to it. 🙂 I didn’t think someone with as big of a leagcy as yours would bother with reading smaller ones, it’s really cool that you do! Thanks so much! Oh my- what an intense beginning! 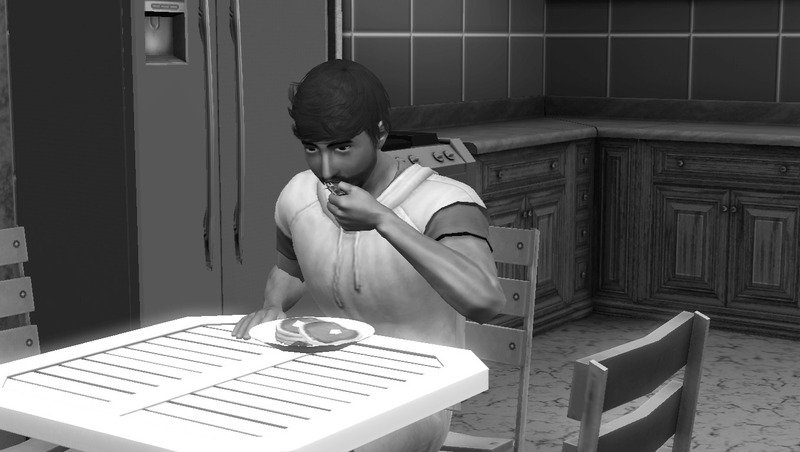 Here we have your typical Joe going out for a jog and eating breakfast and BAM- MURDER NEXT DOOR. Thanks! I tried to make a beginning that would (in a way) catch the reader’s attention. What better way than to have a seemingly normal day turn into a… not so normal day! I promised I’d get here eventually eh?! Sorry it took so long. I like your beginning – all action-ey and stuff! I wonder what happened to Marshall/how it ties in. 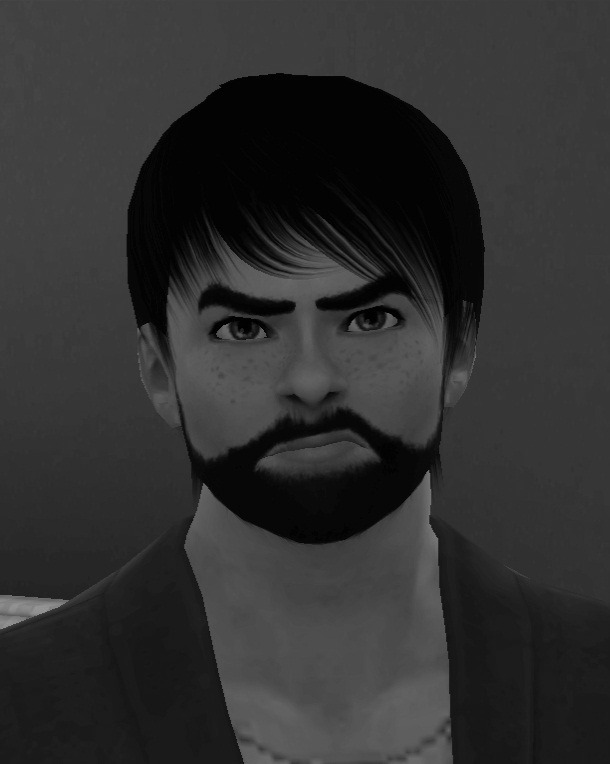 Its interesting that you chose to start the legacy with a murder case. I’m excited to see what happens next! Heya! Thanks for reading! You’ve actually picked the perfect time to get all caught up, because I finished up Conrad’s generation only a couple of days ago. Well it’s later and I’m checking out your legacy. Intriguing start and I can’t wait to discover if Conrad is the the boy running away and whether he he actually killed his parents or not. Hi! I found your blog and it sounds really interesting!